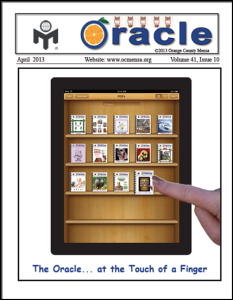 The Oracle is the award-winning monthly newsletter of Orange County Mensa. You may select whether to receive a printed copy mailed to you OR an electronic copy emailed to you. Click here to link to the May 2019 issue of the Oracle. Click here to link to the April 2019 issue of the Oracle. Click here to link to the March 2019 issue of the Oracle. Click here to link to other past issues of the Oracle. Click here (then select My Membership Profile, then My Communication Preferences). Under Publication Preferences, click on Edit. For Local Group Newsletter, choose either PRINT (if you want a printed copy to be mailed to you) OR select ELECTRONIC (if you want a link to the electronic version emailed to you). Note: If you elect to receive an electronic copy, be sure to update your email address. Likewise, if you select print, make sure your mailing address is up-to-date. 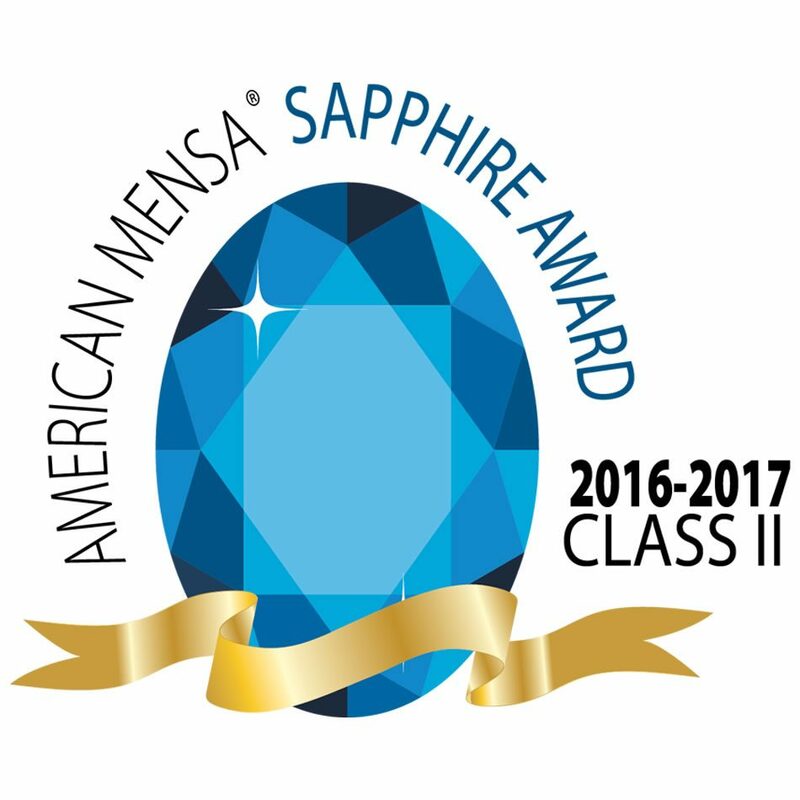 If you’re a member of American Mensa, please visit American Mensa’s local group newsletters webpage (Mensa password required.) This is also where you can read past issues of the Oracle, as well as the newsletters of many other Mensa local groups throughout the United States. Prospective members may purchase three sample issues for $6. Same address, same payee. The Oracle welcomes submissions of material from any member of Orange County Mensa or other Mensa members. Proofing is on the following Saturday, and mailing is on the Saturday after that. Check the Calendar for this month’s locations and any changes from the normally scheduled day and time. Mensa members only, please, at the mailing. 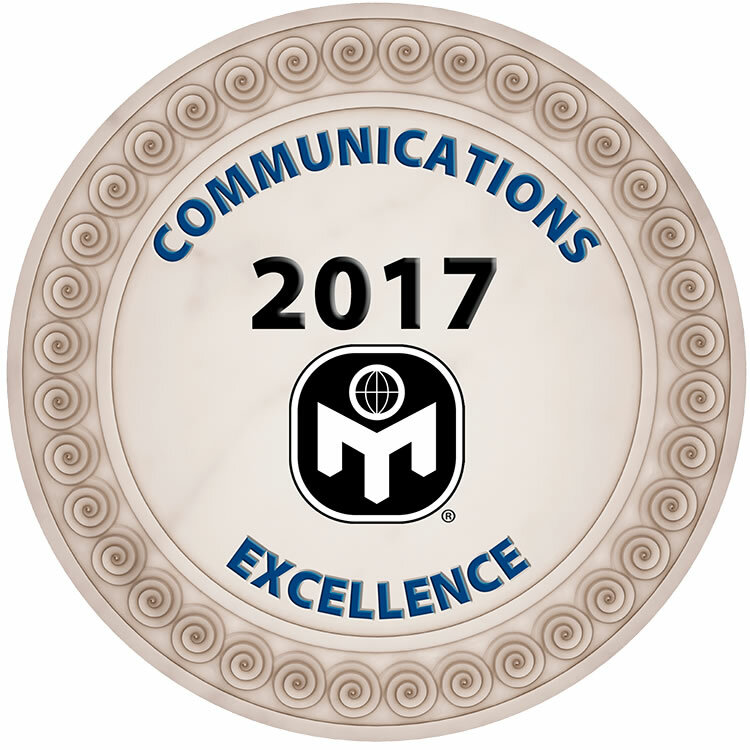 Get your company’s message out to over 800 highly-intelligent people in Orange County! *If you are not a Mensa member, the above rates are doubled. Please send an email to our Editor to discuss ad-copy formats. To coordinate payment, contact the Treasurer at treasurer@ocmensa.org. It gives you the next seven days of OC Mensa’s calendar of events. If you do not receive our “This Week in OC Mensa” email blast, then please sign up here.